To engage persons and communities with diverse faith perspectives and worldviews to address contemporary social concerns. In an increasingly troubled world, there is a growing realization that greater religious and cultural harmony and understanding, between societies, religions and people, is an essential ingredient if our communities are going to survive. Against a backdrop of mounting religious turmoil and the rise of religious-inspired violence everyone, building a greater understanding and harmony between the world’s great religions is indispensable for the establishment of world peace. By deepening religious understanding and dialogue, so a common tolerance and respect for each faith will grow and a common acceptance and empathy for each other will spread. A greater understanding of and between the world’s great religions also allows us to identify a shared set of roots, beliefs, values, ethics and language. A mutual and overlapping canon of ethical and value-based beliefs runs beneath the shifting sands of religious practice and doctrine. Tapping this common ethical sub-stream and its common consideration of questions such as compassion, harmony, love, peace, piety, self-sacrifice and respect, represents a key to unlocking the potential for religious reconciliation and inter-faith harmony. Against an increasingly gloomy world environment where intolerance, violence and discrimination seem to be growing, our mission must be the spread of greater religious understanding and the exploration of a common spiritual language and ethics. We need to find practical ways to help bring together different often divergent faith communities, to demonstrate by way of contact and discourse, that greater religious understanding can deliver peace and harmony. That practical path might be through publications, through education, and through a dedicated and well resourced website that can help connect and inform communities and faith leaders, so raising international awareness to the fact that the achievement of peace and stability is intimately tied to questions of faith, education, ethics, morality and spiritual wellbeing. Stability has a religious, moral and faith-based dimension, so the spread of understanding and insights into those faiths and religions through knowledge, education and communication, is a global cause that all peoples and communities must share. 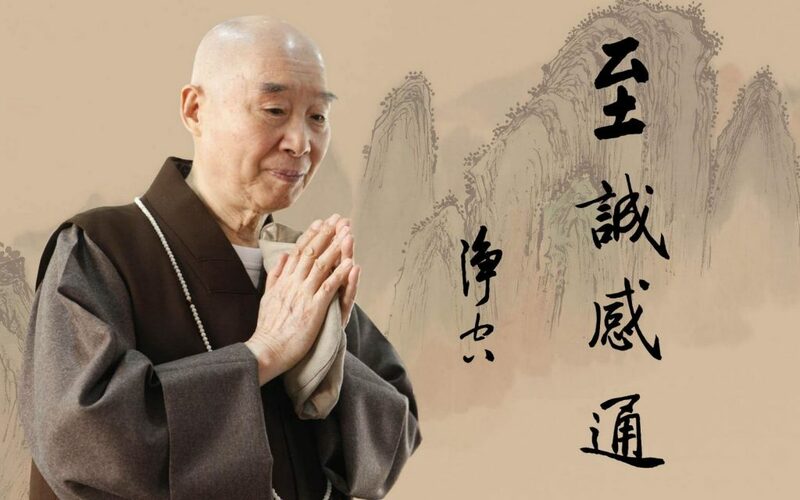 On behalf of Venerable Master Chin Kung, the founder of Chin Kung Multicultural Education Foundation, I am honoured to present to you the following speech. 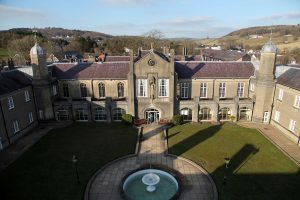 We warmly welcome you all to this serene and beautiful campus in Lampeter. The campus was formerly called Saint David’s College. It was founded in 1822 and is the oldest university in Wales. In five years’ time the College will celebrate its 200th anniversary. The initial purpose of establishing the College was to improve the education of Anglican clergy. It opened in 1827 and by the 1920’s two thirds of the priests of the Church of Wales were its graduates. Hence, the campus has a profound and long standing historical link to religious education. We believe that there is a great connection between such glorious history of religious education and our endeavour today to launch the Harmony Doctorate Programme, to train scholars to promote the teachings of all faiths. 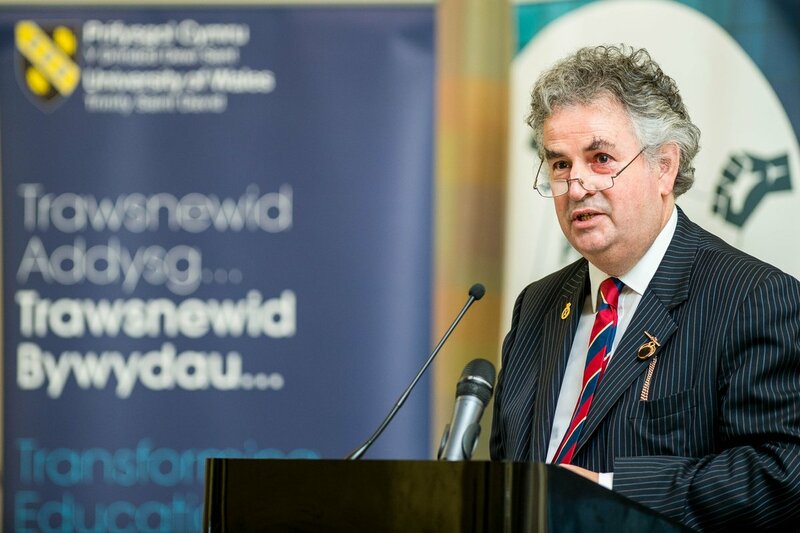 With regard to the establishment of the Harmony Doctorate Programme, we are indebted to His Royal Highness The Prince of Wales for his wisdom and inspiration and Vice-Chancellor Professor Medwin Hughes for his earnest efforts to make it happen. Our Foundation has only provided financial sponsorship. I think that this programme is vitally important because it has a noble goal of promoting stability and harmony in the world and bringing about everlasting happiness for humankind. How can we achieve this goal? We can achieve it by reviving religious education, promoting interfaith harmony, as well as learning about one another’s faiths. These are the three guiding principles that I would like to elaborate today. What is religion? Scholars may have various definitions for religion. However, we are not here to discuss it from the academic perspective today. We would like to talk about the religion simply based on the historical facts. After studying the major faiths in the world, we have discovered that the founder of every faith was actually a great social educator. All they did was teaching, and their instructions were about benevolence, universal love, ethics, morality, law of karma and wisdom of God. All of these are very important to social stability and harmony. Therefore, we would like to explain the word “religion” using the definition of the Chinese word for religion “宗教” (“Zong Jiao”). The first character “宗” (“Zong”) means essential, important, and revered. The second character “教” (“Jiao”) means education, teachings and development. When combined, “宗教” (“Zong Jiao”) means the essential education, important teachings, and spiritual development of humanity. In other words, religion is a universal education that all humankind should learn. Religious education is of paramount importance. The core value of all faiths is love. For example, in Christianity, it is said, ‘God loves all’. In Islam, it is said, ‘Allah is merciful.’ In Buddhism, it is said, ‘Buddha and bodhisattvas are compassionate.’ The divine love of God is the true love. It is unconditional. A person who loves others will never harm anyone. The most critical aspect of promoting religious education is practising it in our daily life. As the saying goes, ‘Practise what you preach.’ Therefore, the priests must demonstrate the divine love of God in their daily speech and behaviour in order to become role models for others to follow. As the old Chinese saying goes, “What we learn should make us virtuous teachers, and what we do should be good examples for others.” If we can widely promote the love of God, we can build a peaceful and harmonious Heaven on earth. This is the reason why we place particular emphasis on the education of universal love in all faiths. Essentially, this is the hope for world peace. All the different faiths can be brought together on the basis of universal love. Such love will bring harmony to society and peace to the world. In today’s society we are particularly in need of an education in ethics, morality, law of karma, and wisdom of God. Therefore, religious education is indispensable in today’s society. Such universal education can cultivate righteous minds and rectify social practices, and we can quote quite a number of success stories from the past. One of them was the case study of ‘Harmonious Community’ in a town in China ten years ago. Within three months of implementing the universal education, there was a significant decline in the crime rate and divorce rate in this town of 48,000 residents. Harmony was found in every household and the neighbourhood. The local social practices were improved and all residents became conscientious when dealing with others. Another success story is about the Seminars of Morality. Attendees of the Seminars received intensive moral education in a period of seven days. As a result, the wicked ceased their evil deeds. The bad changed to be good. The rebellious children learned to respect and care for their parents. The corrupted officials became honest. The divorced couples restored good relationships. All these case studies led us to believe that all human beings are innately good and people can be taught to resume their innate goodness. The key is whether people are given right guidance for such education. In that respect, we hope that all of you, upon successful completion of your Harmony PhD programme, will be engaged in promoting the universal education of religion either through the internet, radio, or television network to provide the general public with a correct understanding of religion. This will not only help change the general misunderstanding of religion as superstition but will also help rectify the misconception and misconducts associated with religion. As a result of your efforts, we hope to see universal education of religion bringing people a healthy mind and body, as well as a happy family and successful career. Once people are given right education, social stability will naturally emerge, every country will enjoy prosperity, and the whole world will be peaceful. Some people are doubtful about the practicality of religious cohesion. In responding to such doubt, we cannot solely rely on theory. Instead, we should do pilot tests to set examples to build up the confidence in people. In 2005 a retired national leader asked me, “Do you think we still have hope for peace in the world?” I replied, “If we can do four things, the world will be peaceful. What are the four things? Countries treat one another equally and stay in harmony. So do political parties, ethnic groups and different faiths. Subsequently, the world will be peaceful.” After hearing what I said, he was speechless. So I continued, “I know these things are difficult to do, extremely difficult. However, if we start with uniting religious groups, we will be able to do it. After all, it’s an era of democracy and it’s all about getting supporters’ votes. Currently, the number of people who have a religious belief is bigger than that of those who don’t. So, the religious groups will have more votes at the end. If all faiths can unite together, treat one another equally and stay in harmony, it will influence ethnic groups, political parties and countries.” Having heard what I said, the retired national leader happily accepted it. The reason why I had the courage to make those statements was because I had done it before. In 1999 I successfully united the nine major faiths in Singapore. We had become a loving family. We often came together for dialogues and activities. We cared for one another, respected one another, and cooperated with one another. It had a very positive influence on the social stability in Singapore. As a result, the Singapore Government was very pleased with it and praised what we did. Since 2002, we have tried to bring together religious groups and ethnic groups in Toowoomba, Australia. It is also very successful. Now, over ten religious groups in Toowoomba are united together to become one big family. And they have all aspired to make Toowoomba the first model city of peace and harmony in the world. In March this year, nine UNESCO ambassadors visited Toowoomba and were deeply moved by what they saw. They concluded that Toowoomba has truly put into practice the ideal of social harmony. In fact, the approach to religious cohesion is very simple. We only need to get together often, be in frequent contact with one another, get to know one another, develop mutual respect, and indeed simply become good friends. The more we understand one another, the more we will find in common, and the more likely we will treat one another equally and stay in harmony. Therefore, I do hope that you will start with your own Harmony PhD’s group by communicating often and learning from one another. When we are able to set good examples for religious cohesion and harmony, we will help the followers of our faiths united together and live in harmony. This is not only a very important contribution to greater social harmony but ultimately to world peace. As mentioned before, all faiths share much in common. Learning the teachings of other faiths can improve the understanding and practising of the teachings of our own faiths. After all, we are now in a different era from the past. In the past, people had poor transportation infrastructures and poor communication technology. People in different regions rarely communicated with one another and hence they focused on their respective faiths. But now, we have enjoyed highly developed transportation infrastructures and communication technology. The world has become a global village, and the villagers must build mutual understanding and cooperation to be able to live in harmony together. In the process of learning about one another’s faiths, it is pivotally important that we can “pursue the commonalities and reserve the differences.” In other words, we will endeavour to work on what is in common, and leave the differences aside. As we gradually reach a higher level of understanding with one another, we will probably find that those differences are in fact not so different. Therefore, there is no need to debate or argue about the differences for the time being. I often use our hands as an analogy. There are five individually different fingers in one hand. However, when all five fingers reach the palm, we will find that they are actually from the same hand. As an old Chinese saying goes, “With the right opportunity, people come to meet one another even if they were a thousand miles apart. Without the right opportunity, even two people living right opposite each other may not meet.” We all come from different parts of the world, but today we are gathering here in Lampeter. We share a great opportunity. I do hope that we can all cherish such a great opportunity, learn from one another and cultivate our moral characters side by side. In the years to come, we will work together to promote religious education, guide the people and transform the world. This will make great contributions to social harmony and world peace. This will indeed generate tremendous merits! May you all be filial to and care for your parents, respect and serve your teachers and elders. May you always enjoy good health and good fortune! May you advance in your learning in Lampeter! May you have infinite wisdom and happiness! Thank you very much.